When you add TV series into Movienizer, the program downloads information about seasons and episodes from the selected information source. 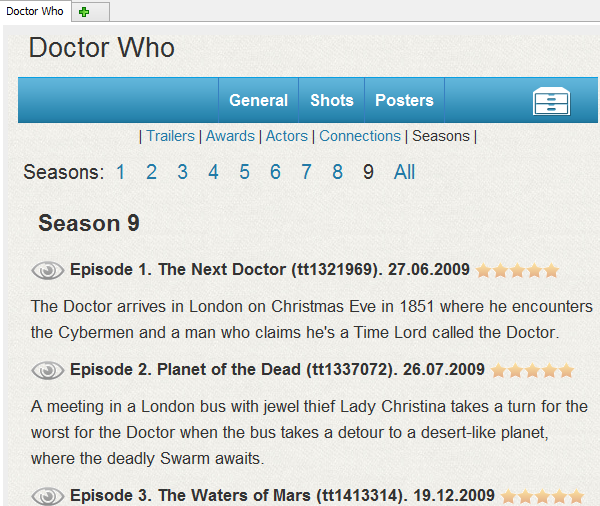 But it does not save information about seasons and episodes that are marked as "Unknown" at IMDB. They are specials that weren't included in any season. 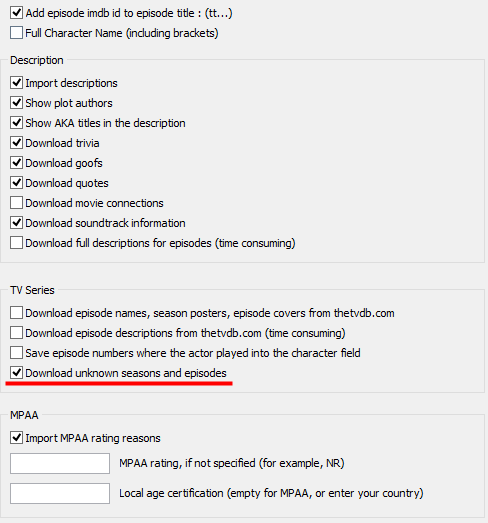 If you'd like to download information about such episodes, open the IMDB script settings window and enable the "Download unknown seasons and episodes" option on the right. In our example, it's Season 9.